While calculating house property income, deductions are allowed out of net annual value (NAy). These deductions are as follows. 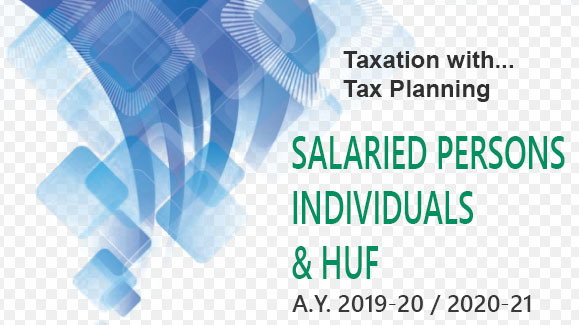 It is an flat deduction available out of net annual value in respect of certain expenses of the owner of the house property connected with earning of rental income like rent collection charges, insurance of house, repair of house, etc. 30 % of Net Annual Value is deductible irrespective of any expenditure incurred by the taxpayer. (1) Actual expenses incurred by the owner of house property are not to be considered. 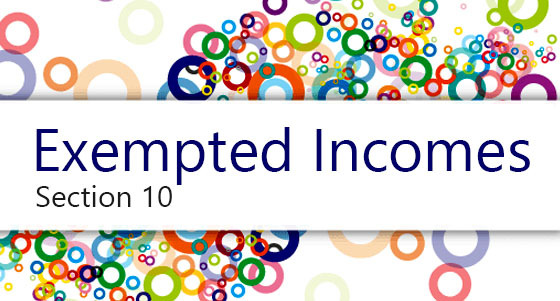 The Standard deduction is available even if the owner has not incurred any expense for earning rental income. Where the property has been acquired, constructed, repaired, renewed or reconstructed with borrowed capital, the amount of any interest payable on such capital is allowed as a deduction. The amount of interest payable yearly should be calculated separately and claimed as a deduction every year. It is immaterial whether the interest has been actually paid or not paid during the year. If capital is borrowed for the purpose of purchasing a plot of land, interest liability is deductible even if construction is financed out of own funds. Interest on borrowed capital is deductible on “accrual” basis. It can be claimed as deduction on yearly basis, even if the interest is not actually paid during the year. Deduction is available even if neither the principal nor the interest is a charge on property. Interest on unpaid interest is not deductible. No deduction is allowed for any brokerage or commission for arranging the loan. Interest on a fresh loan, taken to repay the original loan raised for the aforesaid purposes, is allowable as deduction—Circular No. 28, dated August 20, 1969. This rule is applicable even if the first loan was interest-free loan. 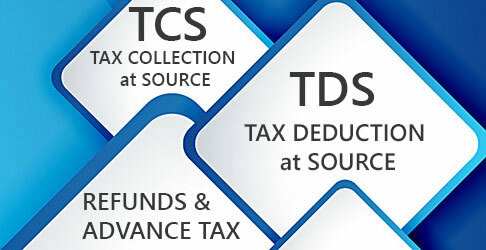 Any interest chargeable under the Act, in the hands of recipient and payable out of India, on which tax has not been paid or deducted at source, and in respect of which there is no person who may be treated as an agent, is not deductible, by virtue of section 25, in computing income chargeable under the head “Income from house property”. Interest on borrowed capital (according to rules given in this para and para 68.3-2a) is deductible fully without any maximum ceiling (in the case of a let out property). 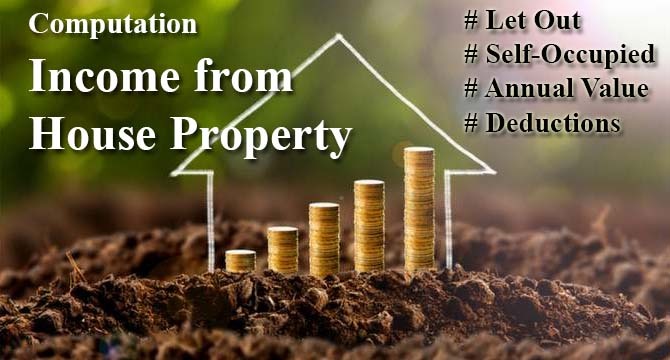 Transaction of allotment of a property to an assessee on instalment basis does give rise to relationship of borrower and lender between the assessee and the estate officer and as such interest paid by the assessee on instalments constitutes interest on borrowed capital. It may so happen that money is borrowed earlier and acquisition or completion of construction takes place in any subsequent year. Meanwhile interest becomes payable. In sucha case Interest of pre-construction period is deductible in 5 equal instalments. The first instalment is deductible in the year in which construction of property is completed or in which property is acquired. For this purpose “pre-construction period” means the period commencing on the date of borrowing and ending on March 31 immediately prior to the date of completion of construction/date of acquisition or date of repayment of loan, whichever is earlier. Interest will be aggregated from the date of borrowing till the end of the previous year prior to the previous year in which the house is completed and not till the date of completion of construction. Where a fresh loan has been raised to repay the original loan if the second borrowing has really been used merely to repay the original loan and this fact is proved to the satisfaction of the ITO, the interest paid on the second loan would also be allowed as a deduction under section 24(1)(vi). Interest on interest is not deductible. The assessee is entitled to deduct only the interest payable by him on the capital borrowed, and not the additional interest which because of his failure to pay the interest on the due date is considered as a part of the loan. Any amount paid for brokerage or commission for arrangement of the loan will not be allowed as deduction. The assessee shall be not allowed any other deduction on account of any expenses incurred in relation to such house property. The deduction in respect of a self occupied house has been discussed later in the Chapter.